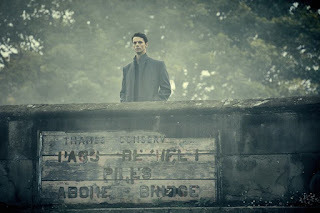 My Purgatory Blog: A Discovery of Witches: Who's Watching? Well, I finally met my match! The love I have for books, tv and movies were never a match for my friends and family. Not a complete nerd mind you but I'm just drawn to it since I was a kid. The writing keeps getting better doesn't it. So, I love this blog and just finished the Discovery of Witches trilogy. Didn't think I like it as much as I did but noticed similarities in the story with Outlander (time travel, hot couple, etc.) but still liked it. The quote "Twilight Meets Outlander"...funny! !